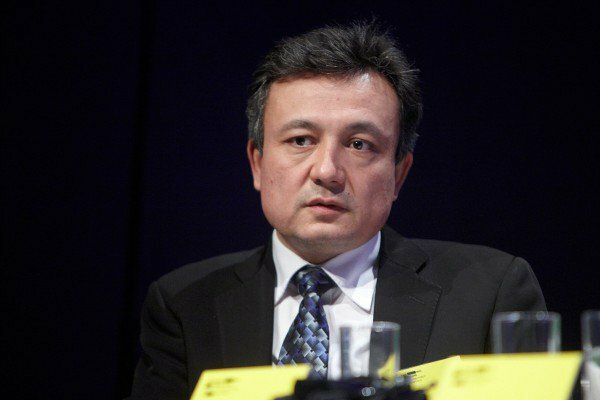 (TibetanReview.net, Apr26, 2016) – Indian media may have spoken a bit too soon when they saw New Delhi’s grant of visa to the Xinjiang Uyghur activist Dolkun Isa to attend a conference on democracy in China at Dharamshala as a reprisal against Beijing’s veto at the UN of its recent move to declare Pakistan-based Masood Azhar a terrorist. According to Indian media reports Apr 25, India cancelled that visa the moment China expressed its displeasure over New Delhi’s move. The Hindu newspaper Apr 25 quoted the Uyghur activist as saying that Indian officials had sent him an email stating that the visa issued to him had been cancelled. “I really wanted to visit India. But I received an email on Saturday informing that my visa which was issued on Apr 6 has been cancelled. No explanations were given. No Indian official called me personally to convey this decision. It’s a very sad situation for us,” the report quoted Isa as saying. Azhar is wanted in India for the terrorist attack, mostly recently, on the Indian air force base at Pathankot, which took place on Jan 2 this year. The leader of the World Uyghur Congress (WUC) who lives in Munich, Germany, after fleeing his Chinese ruled homeland in 1997, has been invited to a conference being organised by the US-based ‘Initiatives for China’. Overseas Chinese dissidents as well as activist from other territories under communist Chinese rule are expected to attend the Apr 28-May 1 conference which will discuss democratic transformation in China. Tibet’s exiled spiritual leader, the Dalai Lama, is said to be scheduled to address the conference. China occupied Eastern Turkestan (Xinjiang), with an over 10-million Uyghur population of Turkik-origin Muslims, years before it did Tibet. China calls all Uyghur critics of its rule and policies terrorists.